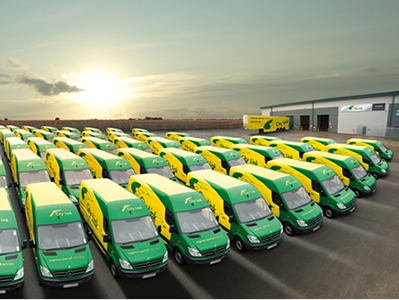 City Link has been delivering parcels in the UK since 1969 and continues to be one of the leaders in the express delivery field. Based in Coventry in the West Midlands, the company has stayed true to its British roots despite roaring success, and has an assortment of offices and depots dotted around the UK. City Link uses high end GPS technology to keep a track of packages and the location of the driver and van, along with CCTV, trailer trackers and VanCams for guaranteed security. Parcels can be tracked by both the sender and recipient online using City Link’s tracking service, Track Your Parcel. To find out the current status of a particular package or consignment, customers or recipients should enter the consignment number or customer reference number provided to identify the package. Both these numbers are given to the sender when checking out, and the customer reference number should be passed on to the customer. Packages sent via City Link are track-able 24/7, with precise times and locations given. Information is updated in near real time, and once the item has been delivered, proof of its delivery is available to view on the tracking system. This service is available with UK deliveries as well as International shipments whether they go by sea, air or road. The tracking system displays the package’s progress so far and when delivery is expected to take place. In cases where recipients are out when delivery is attempted, the delivery driver may leave an Attempted Delivery card containing details of the parcel, why it could not be delivered and how re-delivery or collection can be arranged from their local depot. When possible, City Link drivers will attempt to deliver packages to a neighbour of the recepient, obtaining a signature when handing it over. This signifies the end of their delivery contract and the delivery is marked as complete. Details of the neighbour will be left on the card, and the recipient should then contact them to collect it. The sender also has the option to specify or request items that are undeliverable to a safe place at the recipient’s address. Only the sender/account holder is able to change details of the delivery and make address or instruction adjustments. If authorised to do so, the driver will leave the item there and the delivery will be considered complete. The precise location will be indicated on the Attempted Delivery card for clarification. Deliveries are attempted a maximum of two times, after which the recipient is expected to either collect the item from the local depot. If no collection is made after a certain time, the package will be returned to the sender. In some cases, the tracking information provided may be incorrect or not match up. Customers can contact the Customer Care Team on 08444 930 932 to discuss any concerns or discrepencies, for example if the Track Your Parcel site states the item has been delivered, but it has not been received. The team can also be contacted if there is a problem with the card left or if no card has been left at all. It began as a way of providing a solution to the limited delivery services available from Red Star Parcels, a company that transfered packages via passenger railway stations, giving it a cross-town delivery service that enabled customers to get their parcels further. To facilitate this service, City Link gradually established a network of staff nationwide who would collect parcels from their local railway station and then deliver them to the recipients. After several acquisitions and changeovers involving Securiguard Limited in 1989, who started operating City Link as a series of franchises, the founders of the company decided to take control once more, buying back the franchises. They are still providing specialist logistics and delivery solutions to both the public and commercial customers today, focusing on the UK and Ireland, with a network of 60 depots across the United Kingdom. They are one of the leading courier services, sending 76,000,000 items per annum via an ever growing fleet of over 2,5000 vehicles. City Link’s annual revenues exceeds £320m, however the company has notoriously been making losses despite its high sales, with £25 million of losses reported in just nine months in 2011, and £26 million in the year of 2012. In response to this, Rentokil Initial, who acquired the company in 2006, sold the business in 2013 to Better Capital, a private equity group, who are now investing in the company in the hope of seeing growth. City Link have an online booking system where people who wish to send the occasional parcel without opening any kind of account or having a formal arrangement with the company can still take advantage of their servces. City Link Click and Send allows everything to be done in a few clicks online, speeding up the delivery process. Quotes are obtainable through entering the dimensions, weight and address details of the package(s) being sent, and e-booking, e-invoicing, full track and trace and online reporting are available with the service. Through the online shop, packages can be sent via UK Next Day Delivery, Standard Mail, International Air Express or International Road Express. Payment is taken online, with Mastercard, Visa, Visa Electron, Solo, Maestro and Paypal being accepted for easy check out. Orders placed through the site are processed by Parcel2go on the behalf of City Link. City Link prices for everyday customers start from £11.00 + VAT for Standard delivery within 1-2 days before 6.30pm (or 7.30pm during particularly busy times) in the UK. Packages sent via the Standard Service are automatically covered up to the value of £20.00. Additional insurance cover for fragile or valuable items is also available. UK Next Day Delivery prices start from £11.50 + VAT and are delivered before 7.30pm the following working day. Packages sent via UK Next Day Delivery are automatically covered up to the value of £50.00. Additional insurance cover of up to £25000 for fragile or valuable items is also available. International Air Express prices start at £27.14 + VAT, covering over 225 shipping destinations across the world. Delivery to most European countries, such as Luxembourg, Spain, France, Germany, Italy, the Netherlands and Belgium, can be expected within two working days, while USA/Canada deliveries are likely to take 2-3 days, India and China 3 days, and deliveries to Australia 4 days. Packages sent via International Air Express are automatically covered up to the value of £20.00. Additional insurance cover of up to £25000 for fragile or valuable items is also available. International Road Express prices start at £24.38 + VAT, with over 30 destinations being covered within Europe. Delivery is expected within 3 days to countries such as France, Belgium, the Netherlands and Germany, while 4 days is the estimate for Spain, Poland and Italy. Packages sent via International Road Express are automatically covered up to the value of £20.00. Additional insurance cover of up to £25000 for fragile or valuable items is also available. The prices include collection from the home or work place and tracking throughout the process. Quotes can be obtained according to the collection address, destination address, dimensions of the package, weight and number of parcels being sent on the Click and Send website, which is specifically designed to cater for customers who only wish to use the courier service on an irregular basis. Business rates are provided on an individual basis and can be obtained by discussing the type of service required, for example the regularity and amount of packages being sent, weight of consignment and the amount of international or domestic shipments, with a member of the City Link team. An account is deemed necessary for those sending over 5 parcels a week, and accounts come with many added benefits along with reduced rates. Companies can complete an online form to express their interest in becoming customers of City Link, who will then contact them to discuss what can be offered. City Link provide a courier service within the UK and Ireland, also covering International deliveries to countries in Europe, China, India, the USA and Australia. One of the most popular services offered by City Link is their next day delivery within the UK, as theirs is one of the most affordable and reliable express courier services of its kind. The service is especially utilised by businesses who have to make certain that deliveries reach their clients within the time frame requested. Customers can even opt for a specific time slot for delivery for convenience. For full details of each depot and for an up to date list, you can visit the City Link Depot Locator, which features location, full address, contact numbers and opening hours for all the depots listed. When an ‘Attempted Delivery’ card is left by the courier when the recipient is out at the attempted delivery time and there is no obvious safe place or neighbour to leave the parcel with, the receiver will be presented with the option to arrange to collect their package themselves from their local depot to avoid any further wait or failed deliveries. The driver will usually fill in when they expect the item to return back to the depot, and include instructions on how to collect. Two forms of ID, including one photo ID, and the card itself, must be shown on collection. Accepted forms of ID include driving licence, passport, utility bill and bank statements. Undeliverable items sent within the UK are returned to the sender after 5 days of non collection and no contact from the recipient. 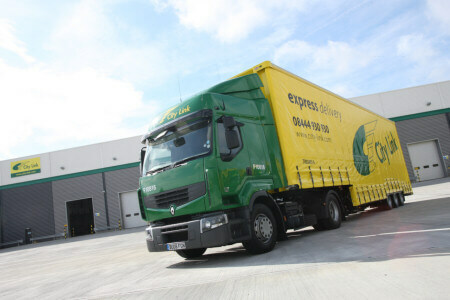 With International deliveries, returns will only be made by request and after discussing arrangements with City Link. City Link provide a returns service tailored especially for the needs of their commercial customers working in the retail industries. Specialist services tailored by the City Link team to meet the ever changing and specific needs of individual businesses and industries are available at request by making an appointment with the company to discuss particular requirements and set up an account. City Link are experts in providing logistics solutions that tailor specifically for businesses in a range of commercial sectors, with Retail being just one of their fortes. More than just a delivery company, City Link’s specialist services provide a host of other benefits and services. Included in their retail solutions is the handling of heavy and bulky items, two man delivery, larger vehicles, pick & pack, specific delivery slots, storage, sortation at the site of the customer, absolute guaranteed delivery on specified day, goods holding and delivery to a particular department or room. City Link have 6 depots and a total of 400 vehicles operating in the Republic of Ireland, meaning they are able to provide an excellent postal service to, from and within the area. Using the standard services, customers can send packages to arrive at addresses in Dublin and Cork the next day, with the rest of the Republic of Ireland being covered within 2 days. With Premium services, next day delivery can be achieved nationwide, and delivery before 12 noon can be arranged at extra cost. 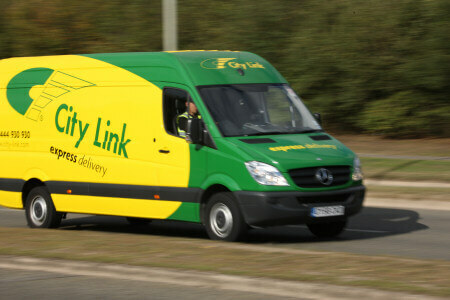 Northern Ireland is covered in the UK Next Day delivery service offered by City Link. City Link is a reputable company that offers many job opportunities to job seekers in the UK, whatever their skill set, education level or expertise. With plenty of positions available aside from the standard courier delivery or driving jobs, employees at City Link have the chance to enter into a career within the company, with ample opportunity to grow personally and professionally. 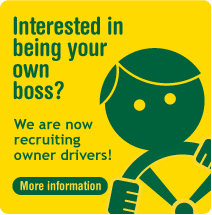 Some of the main roles available include depot managers, team managers and drivers. As well as these, there are jobs in a plethora of other sectors within the company, including accounting & finance, customer care, human resources, marketing, legal, health & safety, IT, transport and security. Salaries range from up to £15,000 per annum to £70,000+ for head roles. Jobs can be searched for according to region (e.g. London, North, South West, Scotland and Northern Ireland), salary, category, proximity to a postcode or specific key word(s) at the City Link careers website. In 2014, City Link launched the City Link Apprenticeship Academy with the intention of training up those interested in working for the company in a year long programme that will likely lead to a long term job offer for those who succeed in the programme. The training is specifically for Multi-Drop Collection & Delivery Drivers and is an entrepreneurial apprenticeship which has been put together to provide trainees with the skill and knowledge necessary to be able to work independently for the company as self-employed drivers. On completion, apprentices are awarded an official Level 2 (intermediate) Apprenticeship in Driving Goods Vehicles certificate which can then be used to help gain future employment not only within City Link but also within any similar logistics companies or those that require delivery drivers. Interested parties can download an application form at the City Link apprenticeship guide, which should then be emailed to apprenticeships@city-link.com. Aside from career progression and security, there are a great number of other perks that come with working for City Link. Pension plan – a pension plan is provided to employees. Details are not available online, however they are disclosed to potential employees during the interviewing process. Childcare vouchers – City Link have partnered with Edenred to help provide their employees who have children with assistance in affording childcare that enables them to work the hours required for the job or to do overtime. Free parking – staff are given free parking on all City Link depot sites. Training – where necessary, training is provided to ensure staff are fully prepared for their jobs, including driver training programmes tailored especially for courier drivers. As well as these benefits, incentive schemes are given to employees, along with discounts for online and instore retailers, cash back, a cycle to work scheme and house and car insurance deals. Though physical benefits are a bonus, one of the main advantages of working at City Link is the morale boosting recognition and thanks received for hard work and effort. There are many different ways to contact City Link depending on the nature of the enquiry. Their extensive online help and support section on the City Link website provides useful information to frequently asked questions about receiving or sending a parcel along with direct numbers for specific problems. I am trying to find a one off Saturday collection UK mainland parcel courier service, please advise.